Hotly debated and long-awaited, the Upper Tribunal decision in the Pawson case has been published. And it is not good news for the taxpayer. The Tribunal found that the deceased’s holiday bungalow had been held “mainly as an investment”. As a result, business property relief from inheritance tax was not available. Mrs Pawson owned a ¼ share in Fairhaven, a large bungalow overlooking the sea on the Suffolk coast. Her three children owned the rest between them. For more than two years before her death the bungalow had been let as a holiday cottage. 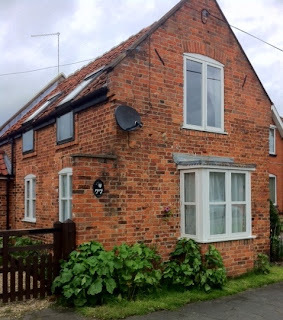 Following Mrs Pawson’s death, her executors claimed that her share in the holiday cottage consisted of “a business or interest in a business” and was “relevant business property” under s103 (1)(a) of the Inheritance Tax Act 1984. As such, it was eligible for business property relief against the inheritance tax that would otherwise have been due. HMRC disputed this and argued that Mrs Pawson’s share in the holiday bungalow did not qualify as relevant business property because – if it was a business at all (they initially disputed this) – it was a business that consisted mainly of holding investments. Was the holiday letting business in which Mrs Pawson had an interest a business which consisted mainly of holding investments? The First Tribunal had found – on the facts – that the letting of Fairhaven by the Pawson family was a business with a view to gain, and that an intelligent businessman would regard it as “involving far too active an operation” for it to be considered as an investment business. • the provision of services over and above those needed for the bare upkeep of the property. • “bare upkeep” was far too narrow a criterion to identify the property management activities which are part and parcel of holding property as an investment. The only reasonable conclusion was that the business carried on at Fairhaven was mainly that of holding the property as an investment. We are not surprised to see the availability of BPR being the source of extended and expensive litigation. Whether a property qualifies “relevant business property” is an all-or-nothing question. This decision should not concern farming clients who operate full-service bed and breakfast businesses. However, care will need to be taken where properties are rented out as holiday cottages in isolation. With the tribunal judge going as far as to suggest that in any normal case an actively managed property letting business will fall within the exception in section 105(3), it will take a significant departure from the norm to convince HMRC to take a different view when it comes to a particular holiday letting arrangement. As always, our specialist private client team is on hand to advise. Please contact Jarred Wright on 01775 842513 in the first instance. Nice Post with information regarding great use! The ways you have illustrated the information is impressive. Thanks! This above blog-post is all about the holiday lettings.These will be the perfect places to spend the holidays or any occasions.Very good post.